Carla’s fun, safe and effective prenatal pilates & CORE training workouts are designed to promote optimal health and fitness while you are pregnant. These focused fat-burning exercises strengthen all of the major muscle groups during pregnancy, especially the crucial core muscles of the abdomen, hips, lower back and buttocks. Carla Zeitlin, one of Los Angeles’ leading Personal Fitness Trainers and CORE fitness experts, holds five top Fitness Certifications. She also holds a Masters degree in Counseling, B.A. in Sports Psychology from UC Berkeley, and has more than 20 years of experience in the field of health and fitness. 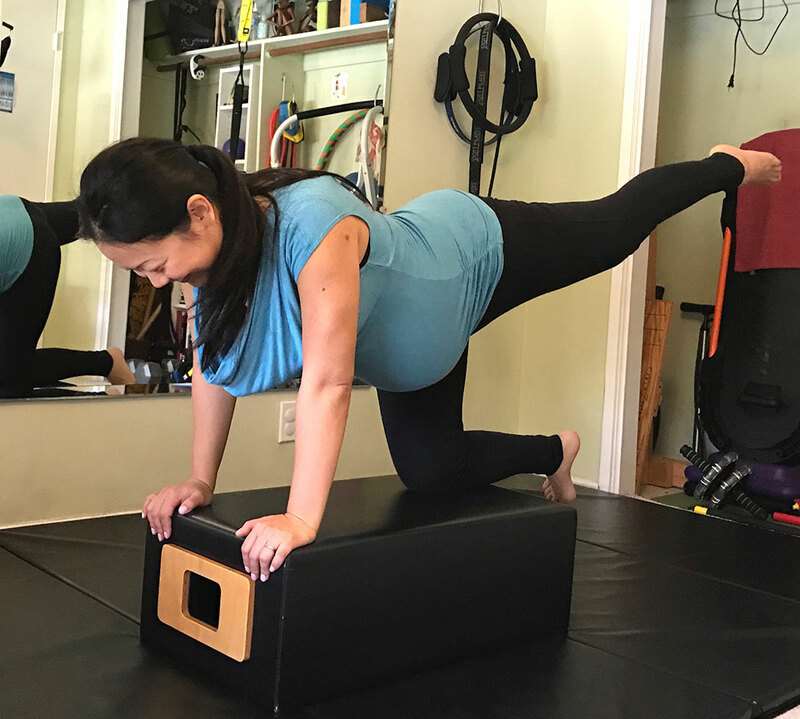 When pregnant herself, Carla recognized the need for a safe fitness routine that strengthens and tones the CORE muscles during those challenging months of maternity. These workouts consist of: Reformer Pilates exercises, mat Pilates, stability ball exercises, balance training, TRX training, and stretch-band routines. Carla’s “Pilates & CORE training for Pregnancy” and other specialized CORE workouts are offered in the comfort and convenience of a private studio/gym in Santa Monica.